We receive a lot of questions on how to embed Exams within websites, so today we will explain your options for embedding your ClassMarker exams and quizzes in your own wesbite. When you want to embed exams in your website, you will use the Links option. When you create a Link for your exam, you are given 3 options for giving access to your exam. Let's look at these 3 options closer. If using a blog or content management system that will create the HTML link for you. 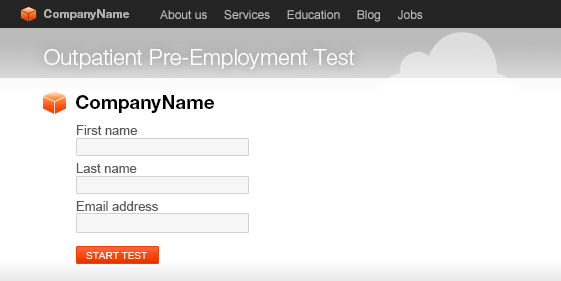 You want Test takers to simply click a link from your website to start the Test. Please Note: Some content management systems will not require this full HTML code. If this is the case, you will then use first option above 'Email link to Test takers'. When you want to embed the test directly into a web page. Important Note: You can embed as many tests as you like, however you can only embed one test per web page. 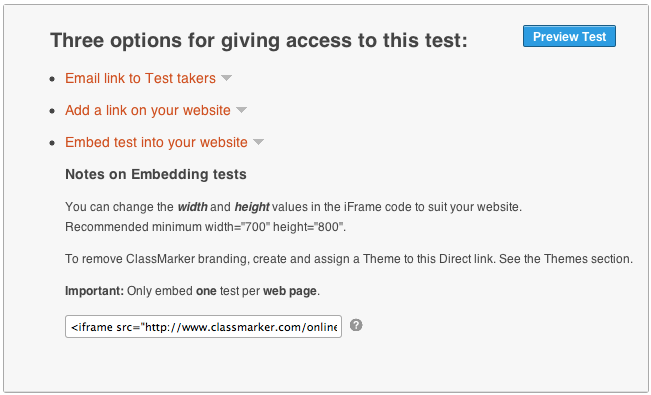 When embedding tests in your website, Test takers do not leave your webiste, they will both answer their questions and can view their results (if you allow) directly on your website without going to ClassMarker. management system for example, you may need to ask your web developer which option to use because the system may not allow iFrame embedding. Test width: The maximum test width is 700px, however you can edit the iFrame code so the height and widths are larger then what is set in the code. This can give you less scroll bars on the page if they appear around your Exam. If using a Content Management System: Try using the 'Email link to test-takers' link, rather then the HTML link.